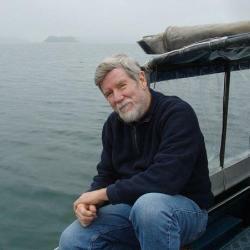 Professor emeritus Willard Moore was elected this year as a Fellow of the American Association for the Advancement of Science, which is among the oldest scientific societies in America and is the publisher of the journal Science. If you think rivers are the sole conduits through which water flows into the oceans, you don’t know the half of it. And that fraction keeps shrinking. According to new research, it might be that only one-fifth of the water flowing from the continents every day into the Atlantic and Indo-Pacific Oceans runs through overland channels of water. And just as surprising, a vast amount flows into the land from the ocean. University of South Carolina professor Willard Moore is part of an international team that recently estimated how much of the water flowing into the oceans comes not from surface rivers, creeks and streams, but instead from what he has termed the “subterranean estuary.” For two decades, Moore has drawn attention to the oft-overlooked inflow, outflow and exchange of ocean and groundwater in permeable layers of rock and sediment, a process that occurs both near the coastline and extending out on the continental shelf. But the roots of his work in the field go back even further in his 50-year scientific career. Soon after earning a doctorate at the State University of New York at Stony Brook, Moore began working in the early 1970s as a civilian in the Naval Oceanographic Office, then located in Maryland. The task at hand was to study deep ocean processes, and one of the best tools for doing that was to measure the amounts of certain naturally occurring radioactive elements dissolved in the seawater at different locations and depths. Moore likens the radium that dissolves from a rock to a dye that slowly loses its intensity over time. The half-life of radium establishes how fast the “dye” loses intensity, and by measuring how radium concentrations diminish with increasing distance from the seafloor — the rock source — a scientist can come up with a model for how the water there is flowing and mixing. A major shortcoming at the time, though, was how laborious it was to collect data. Radioactive elements are present in very small concentrations in seawater. Moore put together a new method after mulling over a few disparate observations. Some colleagues had come up with a much more efficient means for extracting a different radioactive isotope, silicon-32, by coating an acrylic fiber with an iron compound and then exposing it to flowing seawater. Silica (which contains silicon-32) in the water is adsorbed onto the fiber, effectively concentrating the radionuclide into a much smaller area (namely, on the surface of the fiber rather than dispersed in many gallons of water). The iron coating on the fiber didn’t pick up radium, but Moore found something that did while working on a small side project. He was trying to understand the growth of a characteristic kind of rock formation found in certain places on the bottom of Lake Oneida, a freshwater lake of glacial origin in central New York. The formation is called a manganese nodule, which has alternating layers rich in manganese and iron oxides. In the course of that research, he found that the nodules were rich in radium as well, which put him on the idea that perhaps manganese dioxide could be used to extract radium from seawater. 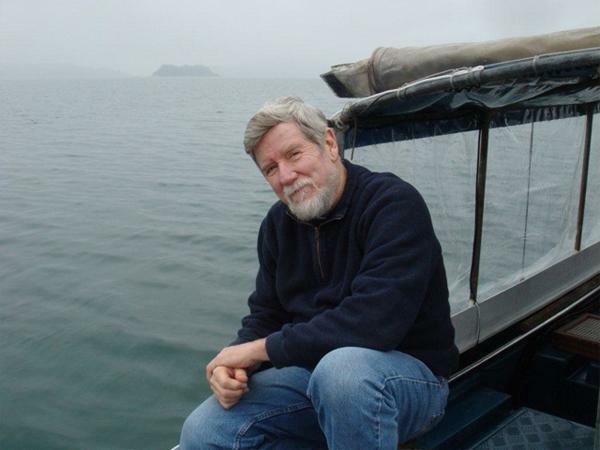 Moore joined the Carolina faculty in 1976 with a ready means of determining radium concentration in seawater, and he expanded his repertoire from the deep-sea research that characterized his work with the Navy to closer-to-shore studies. A primary goal in South Carolina was to understand the exchange processes between water and surface sediments in estuaries near the coastline. Much of the early work with radium, though, raised all sorts of questions, Moore says. The gradients they were seeing simply didn’t make sense, but in retrospect it was because one basic assumption was way off. At the time, it was generally thought that groundwater flow into the ocean was insignificant, maybe 3 percent to 5 percent of river flow, Moore says. The breakthrough came when one of his colleagues suggested that a sizable salty groundwater flow must be responsible for their observations. They measured radium in inland wells, finding that fresh groundwater had almost none, but that saltier groundwater was loaded with it. The inescapable conclusion: water from the ocean was being exchanged with groundwater in prodigious quantities, and it was happening underground. 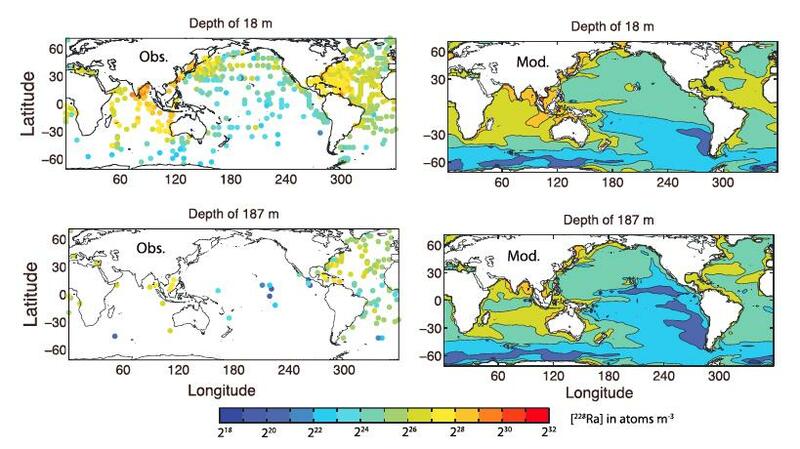 Moore was part of an international team that developed a quantitative model for submarine groundwater discharge across most of the globe, and they just published a paper in Geophysical Research Letters showing that the amount of subterranean water flow into the Atlantic and Indo-Pacific Oceans is some three to four times that of all rivers combined. Perhaps even more important is the conclusion that most of the flow of terrestrial nutrients is subterranean. “If you put a lot of nutrients into the ocean, you increase primary productivity. You make lots of algae, which may be good, but excessive algae settles out and as it decays it uses up oxygen from the bottom water,” Moore says. “We call it hypoxia, where the oxygen is so low fish can’t breathe. So, productivity is a delicate balance. To help support research like Willard Moore’s in the Department of Earth and Ocean Sciences of the College of Arts and Sciences, visit Carolina’s Promise. Moore’s research is primarily funded by the National Science Foundation through GEOTRACES, an international project that is mapping the distribution of trace elements and isotopes in the world’s oceans and seeking to understand the processes responsible for these distributions. Additional funding is from the NSF Hydrology program.